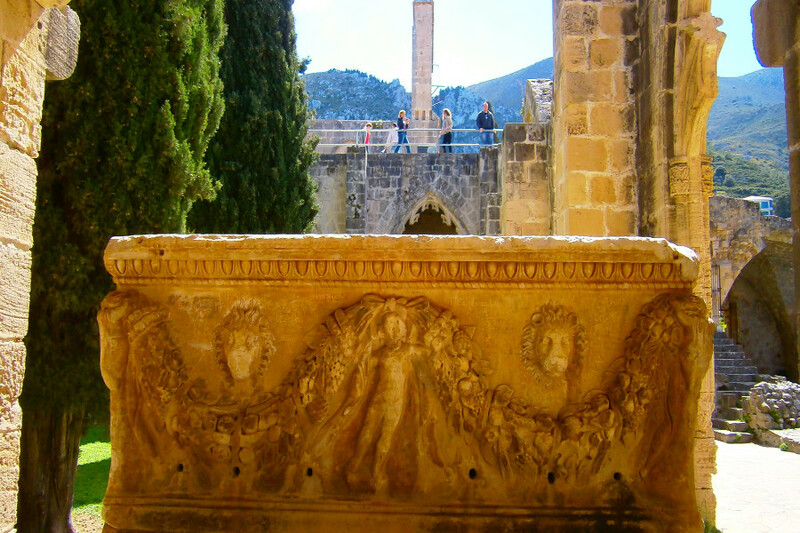 Kyrenia | A Brief Guide to Mediterranean historical city. Kyrenia (Girne) has been host to a huge variety of civilisations over more than two thousand years, although the first human habitation in Cyprus as a whole can be traced back at least 10,000 years with artefacts of that age having been discovered in Akrotiri i n the south of the island. 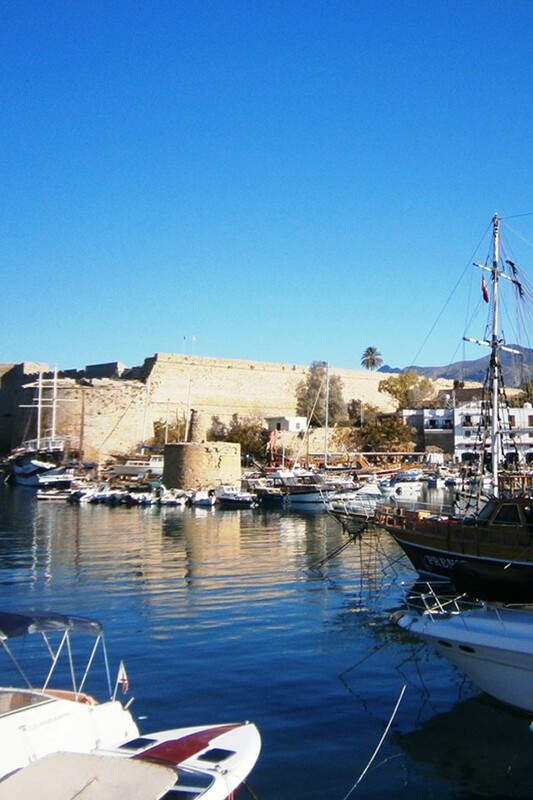 Kyrenia with its famous harbour is known as the “Jewel of the Mediterranean”. There are almost as many legends aiming to explain its origin as there are races of people who have at some point inhabited it. One story attributes its beginning to Achaeans from the Peloponnese in the 10th Century BC, with the name coming from the name of a mountain in their homeland. An alternative explanation attributes its origins to the Phoenicians, who formed coastal commercial colonies in the mid 9th Century BC. A third says the name comes from the Romans with their word “Corineum”. When the well-known traveller Olderburg visited theh island in 1211, Kyrenia was then called in German “Schernae” (meaning a small beach town with city walls and towers). In the course of history, all those sources have combined to create the present day names – Girne in Turkish and Kyrenia/Keryneia in English/Greek. Kyrenia has variously been colonised by the Egyptians, Hittites, Phoenicians, Persians, Alexander the Great, Romans, Byzantines, Richard the Lionheart of England, Lusignans, Genovese, Venetians as well as more recently the Ottomans. There are historic sites and relics from all these periods to be explored, all over Cyprus, which is a treasure trove for history lovers. 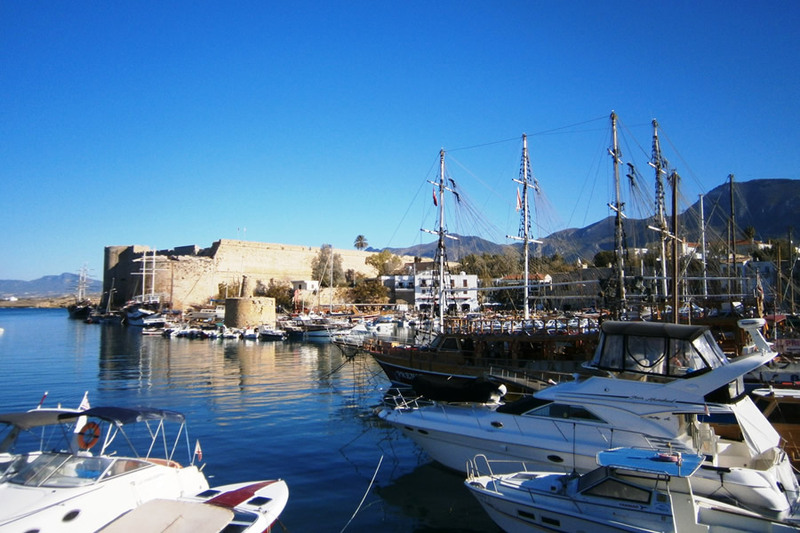 During the Roman period, Kyrenia was ruled by the East Roman Empire. Later, Orthodox Christianity was established in the region. King Richard the Lionheart of England joined the Crusades in 1191 and became ruler of Cyprus where he married his fiancée, Berengaria (who had been shipwrecked there) in Limassol Castle – the first and only Queen of England to be crowned so in Cyprus! The fabulous Crusader castles of St Hilarion, Buffavento and Kantaris date from this period. Eventually, Richard passed the sovereignty of Cyprus to Guy de Lusignan (France). The language of the populace was Greek at that time. Under the Lusignans, the people of Cyprus lived comfortably for 300 years, during which the architecture developed and the Catholics settled on the island, which then came under the control of the Venetians. The Venetians ruled Cyprus from 1489 to 1571, but sadly corruption and inefficiency marked the administration, despite the fabulous legacy of the Venetian fortifications of Kyrenia Castle, Famagusta and Nicosia (Lefkosa). In the meantime, the Ottoman Empire was expanding. In anticipation of attack from the north, the Venetians fortified the capital Nicosia (Lefkosia) with immense circular walls and built massive fortifications around Famagusta. Neither measures held back the Ottoman advance and, in 1570, Lefkosia (now known as Lefkosa in Turkish) was conquered. Almost a year later, after a long siege, Famagusta was taken by the Ottomans. The Ottomans ruled Cyprus from 1571 for over 300 years until the British leased it in 1878. 20,000 Turkish settlers arrived during this time; the start of the Turkish language in Cyprus. An example of Ottoman architecture in the Kyrenia city centre is the Agha Cafer Pasha Mosque, built in 1589-90. In 1878, Turkey and Britain signed an agreement giving Turkey sovereign-ty over the colony while Britain would bear the responsibility of adminis-tering the island as well as helping to protect against a possible advance by Russia. Britain’s aim was to gain an outpost in the Middle East for mili-tary and commercial reasons. You can see evidence of the British rule in Kyrenia itself with many of the colonial government buildings, law courts, post office and other buildings. These were all built by the British and are still in use today. In 1914, Turkey and Britain were at war so Britain assumed outright sover-eignty of Cyprus without Turkey’s agreement at that time. This agree-ment did not come until the 1923 Treaty of Lausanne. British control of Cyprus was initially welcomed by it majority Greek population, since it was assumed that Britain would ultimately work with the Greeks to help them achieve their dream of union (or Enosis) with Greece. The minority Turk-ish Cypriots, though, were of course less than enthusiastic at the prospect. You can read elsewhere about the sad period of war which developed from the 1950s onwards where the pro-Enosis EOKA terrorist organisation started to attack the British administration. These attacks eventually led to the troubles and eventually to the war which caused the division of the island. In November 2009, a war memorial to the 371 British servicemen and women killed during this period in Cyprus was unveiled in the centre of Kyrenia and is well worth a visit today. Cyprus is the third largest island in the Mediterranean, located in the Eastern end of the sea, south of Turkey. 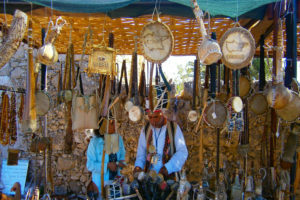 It has a surface area of 50 square kilometres and is one of the most popular tourist destinations in the Mediterranean. Kyrenia town is located in the centre of the north coast of Cyprus. 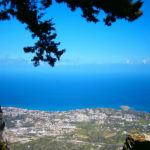 Rising up behind Kyrenia is the steep Besparmak (in English “Five Finger”) mountain range to the south of the town, with the Selvili Peak being the highest point of this range at 1023 metres above sea level. The north face of this range is covered with dense Aleppo Pine trees, with the flat coastal lands being rich in citrus, olive and carob trees. 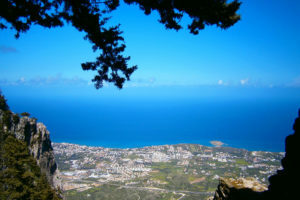 There are three mountain passes (or “Bogaz” in Turkish) – routes over the mountains to the Kyrenia shoreline, which has a mixture of beaches and coves. The main pass is known as Girne Bogaz (the route from the capital Nicosia over the mountains to Kyrenia). The other passes are the Mersinlik-Tatlisu road (half an hour to the East of Kyrenia) and Gecitkoy (half an hour to the West of Kyrenia). Kyrenia (Girne) has a typical Mediterranean climate with approximately 326 days of sunshine per year. Summers are long and rainfall rare at this time. Winters are short, but with regular rainfall (10 days of rainfall per month in January and February). Snow is rarely seen on the Kyrenia mountain range. The lowest average temperature in January is 8 degrees centigrade (46F) and the warmest average temperature in July is around 38 degrees centigrade (100F). 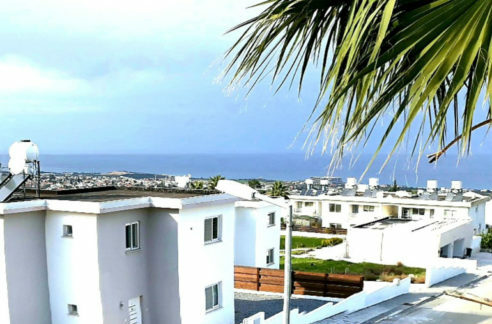 The shore areas are the coolest places to be in the summer, with lovely Mediterranean Sea breezes, however, there is quite high humidity in summer. The average sea temperature is 21C and the average humidity is 68.8%. Kyrenia is a magnet for visitors, particularly those interested in its 9,000 year history and charming and historic harbour. 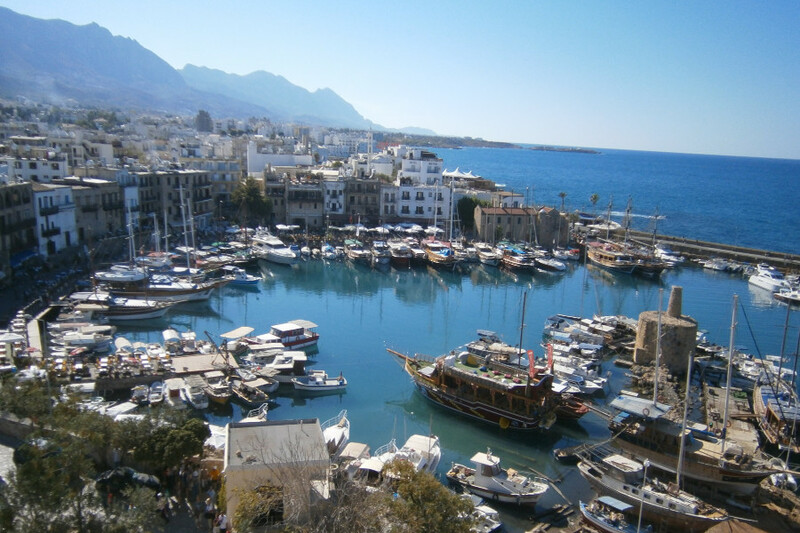 The horseshoe-shaped, quaint port of Girne is full of a huge range of seafaring vessels from luxury yachts to floating cafes and fishing boats. In the past, the carob bean was known as “black gold” and was the main export product of the island. Hence, the stone buildings lining the harbour were built as storage warehouses for carob products. Now, although carob is still produced, these lovely buildings are converted to art museums, shops and restaurants – with suitable names such as “Carob-tree”. The charming harbour is lined with dining tables right at the water’s edge; perfect for an evening drink or meal a whilst watching the lights glistening on the water. Within the historic harbour of Kyrenia you can find the Public Arts Museum, which is built in an old 18th Century building. Olive oil presses, traditional agricultural implements and tools, weaving looms and traditional Cypriot clothing is all on display. 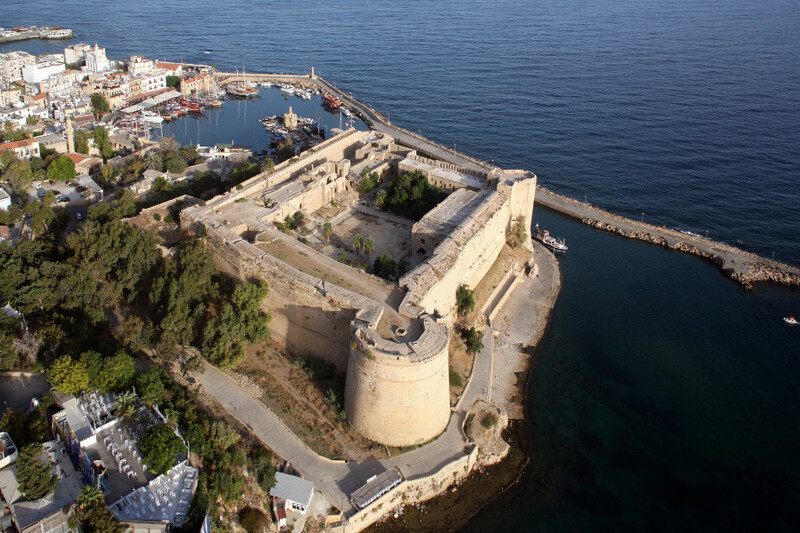 The first reports of a castle in Kyrenia come from the Roman period, and the original castle was then fortified by the Byzantines and again by the Lusignans. However, what is most in evidence today are the fortified walls built by the Venetians during their rule of Cyprus to guard against the possible invasion by the Ottomans. 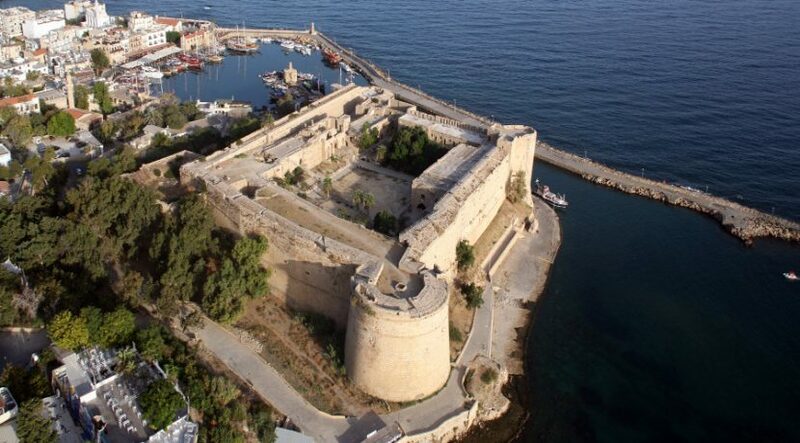 This fabulous castle stands imposingly above the harbour and is a “must-see” for all new visitors to Kyrenia. The castle is remarkably well preserved and is fully accessible to the public. 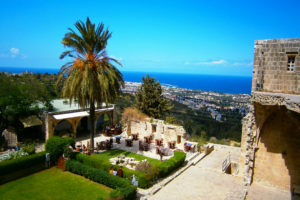 As well as offering stunning harbour views and fascinating insights into the history of Cyprus, the Castle is home to Northern Cyprus’ shipwreck museum, the setting for one of the world’s most significant and well-preserved pieces of maritime history. 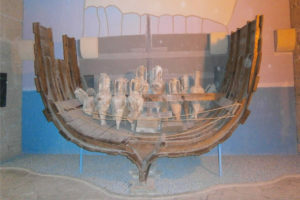 In 1965, divers off the coast of North Cyprus discovered what has been found to be the oldest shipwreck ever recorded. 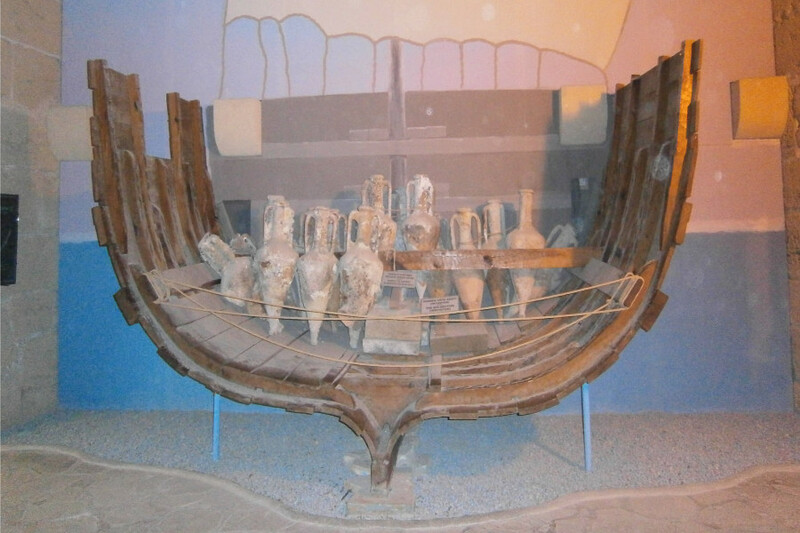 The vessel dates back to 300BC and was a trade ship, carrying cargo that included amphorae full of almonds and wine as well as other items. The wreck was brought to the surface and is kept in a specially-controlled atmosphere to ensure its continued preservation. 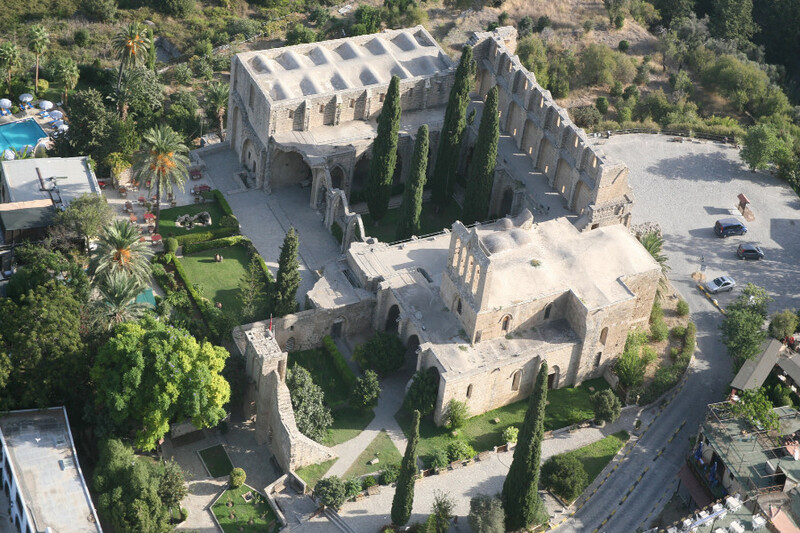 The 12th century Byzantine church of St George the Castle has been preserved within the castle walls. As fate would have it, when the Ottoman invasion finally occurred in 1571, the Venetians seem to have given up without a fight! Today, you pass through the entrance in the northwest corner of the castle and walk along a long ramp, leading to the central parade ground area of the castle. On the way, you pass a tomb of an Ottoman admiral. The central area is lined with military guardrooms, living quarters and stables, with more ramps leading up to defences on the castle walls. You can also climb steps that take you to the Lusignan royal apartments and the small chapel. In the depths of the castle, dungeons have been graphically equipped with large models of hapless prisoners. The battlements of Kyrenia Castle are worth the climb for the view alone. A larger “New Harbour” is located to the east of the town centre, and is also worth a visit. 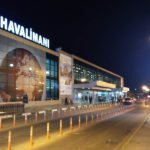 It is used by commercial shipping and car and passenger ferries coming from Turkey, as well as having a Delta Marina for private yachts, with nice café. 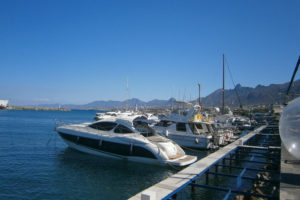 The economy of Kyrenia depends mostly upon tourism with visitors arriving from all over the world. 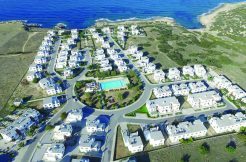 There is a huge boom in the town at present with new apartments, hotels and restaurants springing up every month. Despite offering the best of modern tourism, happily, Kyrenia old town retains all of its traditional charms. “University tourism” also plays an important role in the town’s economy. Girne American University was established in 1992 and now nearly 2,300 students contribute to the commercial and cultural activities of Kyrenia. In May every year, the International Yacht Race takes place close to Kyrenia harbour. There are approximately 80-90 yachts which participate in this event. It is considered to be the largest yacht race taking place in the Eastern Mediterranean. In September every year, an International Theatre Festival is organised. Plays are performed in all three major towns and cities of Kyrenia, Lefkosa and Famagusta. 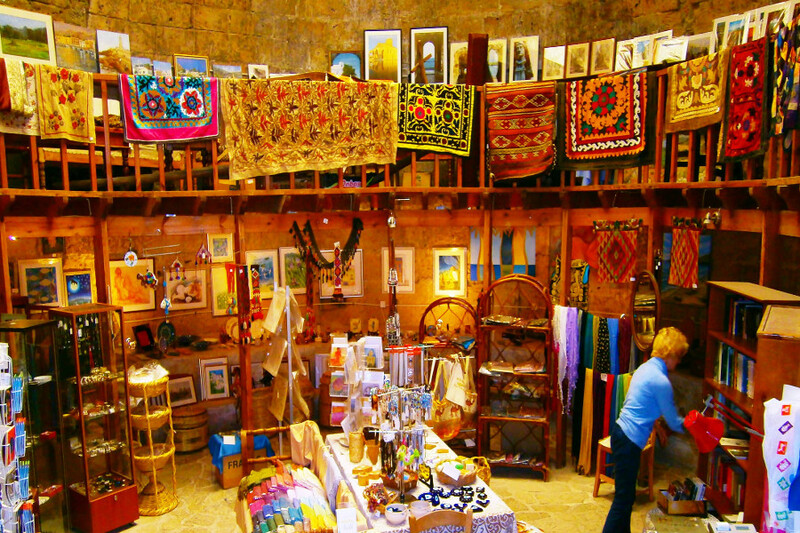 The Kyrenia Municipality Studio is a main organiser of the festival. In October every year, the International Olive Festival takes place in Zeytinlik village to the North West of Kyrenia It has taken place every year since 2001. At this festival, the folklore team of Kyrenia as well as the Turkish Art Music Team perform their shows. 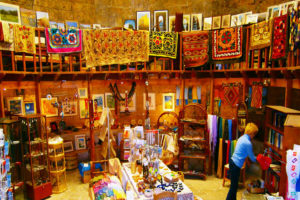 Various exhibitions of handmade lacework and traditional Cyprus Pottery are exhibited. The festival also hosts the Olive Food competition. This fabulous Abbey takes its current name from the French “Abbeye de la Paix” (Abbey of Peace). 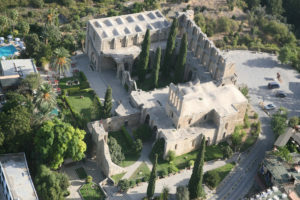 It is well preserved and a beautiful example of Gothic architecture and is built on a rocky mountaintop, south of Ozankoy village below the skirts of Five Finger mountains to the south-east of Kyrenia. Set against the stunning backdrop of the mountains rising up behind it, it is a most imposing ruin in a wonderful location, with breath-taking views down to Kyrenia and the Mediterranean Sea. The site of Bellapais may have been an early residence of the Bishops of Kyrenia, as well as their refuge during the Arab raids of the 7th and 8th centuries. In 1187, Jerusalem was captured by the Saracens and the Augustinian canons fled to Cyprus. Aimery de Lusignan founded Bellapais Abbey for them in around 1200. It was initially consecrated as the Abbey of St. Mary of the Mountain. The White Canons (also known as Premonstratensians) came next, and this was the rule that was adopted from 1206 onwards. Their white habits gave Bellapais one of its names— it was called the “White Abbey” in the 15th and 16th century. French King Hugh 3rd was a benefactor of the Abbey and his tomb is said to be in the grounds. The Abbey became very wealthy, with King Hugh 4th living in the Abbey. However, in 1373, the marauding Genoese, robbed the abbey of everything light enough to carry. After this, the abbey spun into physical and moral decline. By the mid-16th century, the monastic rule had been virtually abandoned at Bellapais, with many of the canons taking a wife (or two) and accepting only their own children as novices. The Venetians shortened the name, Abbaye de la Paix (Abbey of Peace), to De la Paix, which eventually became Bellapais. The Ottomans gave Bellapais Abbey to the Orthodox Church. The buildings were neglected and fell into disrepair, but the abbey church was used as the parish church for the surrounding village (presumably populated by descendants of the monks). Today Bellapais Village and Abbey is one of the major tourist attractions in Northern Cyprus – and its magic brings many couples to be married or blessed in the Abbey grounds. 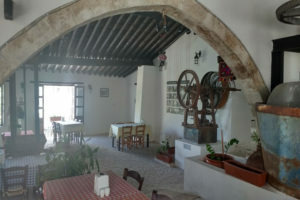 If you are visiting North Cyprus, do take the time to stroll around the village, with its craft shops and traditional cafes, as well as enjoying the “Tree of Idleness” café and shop built under the same tree which inspired the well known novel by Lawrence Durrell: “Bitter Lemons of Cyprus”. 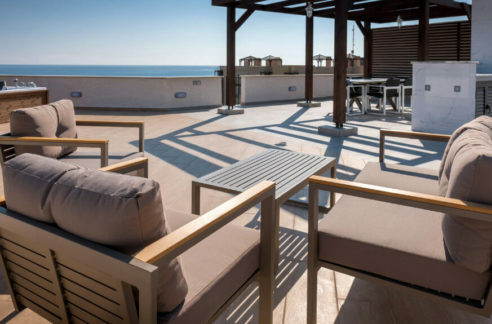 The fabulous Bellapais Gardens Hotel is one of the top restaurants in Cyprus. The lovely Kybele Restaurant, set in the grounds, has a historic flavour, where guests can sit and enjoy classical music whilst admiring the floodlit Abbey and Mediterranean Sea below. The Bellapais International Music Festival www.bellapaisfestival.com is a major cultural attraction of north Cyprus, every year in May and June, with concerts of the highest standard taking place in the great hall.